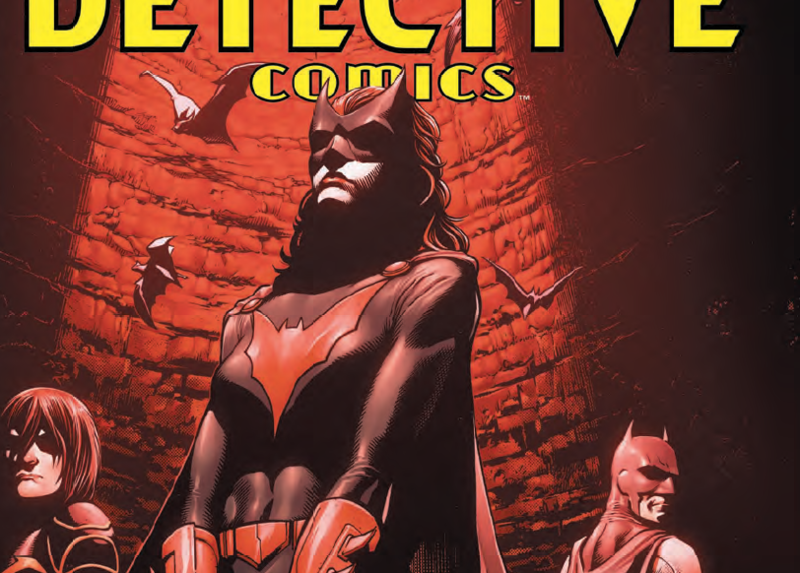 Detective Comics #975 review: Batwoman will never be the same – AiPT! The last issue of Detective Comics really ticked me off. It basically ignored the elephant in the room (Batwoman killed someone) and instead slowly moved the pieces in place to tackle that another day. My day has come, though, as the trial of Batwoman begins! James Tynion IV appears to be putting to bed his grand idea of a Batman team which is a huge deal given how many issues he’s devoted to building it up. With Clayface gone you’d imagine that wouldn’t be the end for the team, but when a teammate does something awful and gets away with it how do you continue to bring justice to Gotham? This is a well crafted and paced book. It opens with a surprising scene between Bruce Wayne and Kate Kane when they were children. This scene defies your expectations and sets up a revealing argument later on that is hard to argue with. The fact that the issue ends where it begins gives the comic a poetic finish. The meat of the book is all about characters sharing their thoughts on what Batwoman did. It’s a brave choice to have your characters talk instead of fight in superhero comics, but it works wonderfully. Tynion IV does a good job establishing each character’s point of view and argument. Even the characters who don’t speak up, like Damian, still somehow give us their two cents via their facial expressions. The truth is, none of these characters are wrong, which makes Batman’s decision all the more difficult. These arguments that are made also set up Batwoman’s decision which ends the issue with a cliffhanger that sets in motion a new direction for the character. By the end, Tynino has somehow made each character right and that includes Batwoman. That’s a hard thing to pull off and it makes wherever we go from here even trickier for the characters. The art in this issue is sharp and cleanly colored by Brad Anderson. Alvaro Martinez’s pencils with Raul Fernandez’s inks keep your attention and help you forget how much text there is to read in this. A double page layout is used in the “trial” scenes, which help keep the dialogue clear and the story moving. Twice characters reveal their arguments with flashback montages running in the background like memories. It’s a sharp way to remind us the history of these characters as they attempt to make hard decisions. I can’t imagine how hard this would be. If you don’t like your comics with tons of dialogue, steer clear. This issue is more about logic and setting up arguments so as to establish not only the characters’ takes, but to allow readers to have their own as well. We basically get to judge these characters as they leave everything on the table when it comes to what to do with Batwoman. If that doesn’t sound interesting you’ll most likely get a shot of action in the next issue. This is a deftly scripted and well-written issue. This is one of those comics where you can see the difficulty of what it attempts to do and have even more respect for it by the end because it is so successful at pulling it all off. A strong issue that is paced perfectly and well crafted by all the creators. An excellently written issue that lays bare each character's take on what to do with Batwoman.